Telegram messenger is a free cloud-based mobile and desktop messaging app with a focus on security and speed. 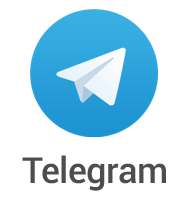 With Telegram, you can send messages, photos, videos and files of any type (doc, zip, mp3, etc. ), as well as create Groups for up to 100,000 people or Channels for broadcasting to unlimited audiences. Telegram supports end-to-end encrypted voice calls. you can get more info about Telegram here. Below I will share some of the Telegram Bots I have used, Channels and Groups that I have come across and joined which are security related. Please note that I am not affiliated to any of these. Bots are simply Telegram accounts operated by software – not people – and they'll often have Artificial Intelligence features. 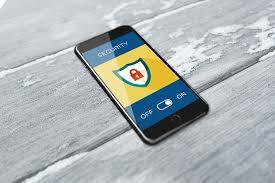 They can do anything – teach, play, search, broadcast, remind, connect, integrate with other services, or even pass commands to the Internet of Things. GDPR Bot can help you get a copy of your data that is stored by Telegram and contact Telegram's Data Protection Officer. The VulnersBot gives you access to one of the largest security databases in the world. You will be notified or stay updated about all vulnerabilities being detected in the wild..
You send a link or web address to the bot and the bot will fetch and return the contents of the page as text only without ads, images, videos etc. This bot can assist if you need to read an article which you don't trust the source. This bot resolves shortened URLs. If you submit a shortened URL, the bot will return the full path/URL of the web link. This bot can ensure safety of files and links transferred via Telegram by checking them on-the-fly. all you do is submit file or URL link and DrWeb bot will scan for threats and advise if the file/URL is safe with no threats detected. This bot works like Dr.Web but does not scan files. Web-Of-Trust bot Checks URLs safety via the WebOfTrust API. Channels, are a tool for broadcasting your messages to large audiences. Channels can have an unlimited number of members. This is a channel that provides security news, exploits and vulnerabilities. This channel broadcasts security alerts but not frequently. Channel is not that active. This channel posts IT security related topics and especially alerts. Channel for a Collection of privacy news from around the world. Stay informed and stay safe! This is a group for talking about IT Security. Here you will find discussions about vulnerabilities, reverse engineering, rootkits, network security as well as other ethical topics. Discussion group for internet security. What other Telegram bots do you use and telegram Channels or Groups you are a member?